ISA was established in 1974. We have a long history of good service and great ideas. I have always liked to think of us as a boutique among big box stores. As times changed I had to figure out a way to compete with the large promotional products company pricing. I have always known our service was better and more personal, but pricing is a big deal. In 2017, I joined Halo Branded Solutions out of Sterling, IL. This has given me the distinct advantage of being a boutique in the big box store! I can do small projects and still run a large program with Halo as my partner. We will help your business market their brand better with promotional solutions that deliver memorable, enjoyable, and lasting impressions. We support businesses of all sizes from entrepreneurs to Fortune 500 and everything in between. We offer everyday low prices and fast delivery, without sacrificing the quality of the products. Providing products to the people who want to give their brand a boost is what we do. But who we are is something much more important. 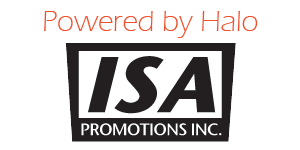 Our mission here at ISA is to showcase your brand on premium products that people connect with, enjoy and remember. I have been with ISA since 1990 and Halo since 2017. 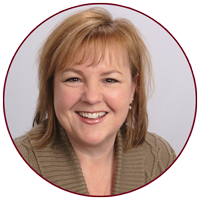 I have the experience and the passion to help you market your company effectively and make it fun and easy. Call or email me anytime. I am excited to work with you on your next project.